Jonny Cash said that, Woody Allen said 80% of success is showing up, Kevin Spacey likened it to death, Frank Sinatra said massive success was the best revenge, whilst Barbara Streisand claimed it was having ten honeydew melons and only eating the top of each slice. We were never big fans of Miss Streisand round here. Ultimately, how do you measure success? Money? Fame? Leaving a lasting legacy? Franz Kafka might now be regarded as one of the most influential writers of the 20th Century, a man who has a whole terminology, Kafkaesque, named after his own personal style, but in his lifetime he relied on working as an insurance officer and as an operative in an asbestos factory to pay the bills. Joy Division are regarded as one of the most influential bands in music history, but they never had a top ten single, never had a number one album. Does that make them a failure? We would argue not as they brought with them a legacy. Dire Straits sold over 18 millions copies of Brothers In Arms, but that doesn’t make it any good, The Bodyguard soundtrack allegedly sold in excess of 40 million copies, and that’s an unlistenable noise! Contrary to what you may well have read about The Twilight Sad elsewhere, they are not actually Scotland’s least successful band! Sure they’ve not had the major label American breakthrough of former label mates Frightened Rabbit, not tapped into the lucrative soundtrack market in the same way as fellow Glaswegian miserablists Mogwai, and the success the bands former touring keyboardist, Martin Doherty, has found in Chvrches must be particularly galling, but let’s have some perspective here! Still going strong four album into their career, still signed to one of the countries finest independent record labels, still selling out shows, and still adding more and more critical acclaim to their catalogue. There’s a number of bands who’d be delighted with a career like that! 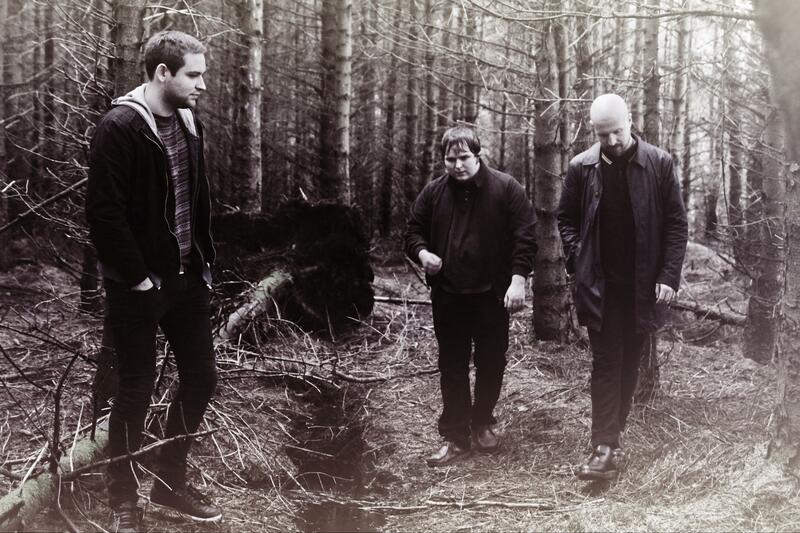 The album opens with a twanging guitar, reminiscent of the more recent output by Leeds based post-rockers I Like Trains and it’s soon joined by the crisp snare sound that has characterised much of The Twilight Sad’s career, indeed the opening track, There’s A Girl In The Corner, is in many ways classic Twilight Sad. The impassioned, intense and accented vocal of James Graham, synthesisers that recall the darker side of the 80’s goth movement, guitars that slowly build to crashing walls of noise, full of trademark intensity. They’re all classical parts of The Sad’s sound. Lyrically too, it wouldn’t be at all out of place on it’s predecessor, No One Can Ever Know, playing out tales that sound like they were written by a couple struggling through a miserable existence, in a one bedroom flat, where no sunlight ever creeps in, with the constant threat of domestic violence and a horrific, bloody end, it’s an episode of A Touch Of Frost in the making. James’ greatest skill as a singer is to make an innocuous line carry so much weight, in most hands “you’re not coming back, you’re not coming back from this” would sound sympathetic not threatening. This girl in the corner of whom he sings is “crying for you, she’d die for you” and the way it’s sung you wouldn’t be surprised if she ends up 6ft under. The bands debut album, Fourteen Autumns and Fifteen Winters, was littered with tales of domestic abuse through the eyes of a child inevitably questions were asked of James’ upbringing, but as with the tales where he himself seems to be a violent, troubled soul, those were just stories, just characters, and he’s happily played out these tales; getting into his own mind has often proven more difficult. Here however there are moments where the lyircs seem more personal. On the albums lead single, Last January, there are hints of more traditional relationship issues, lines like “you are too old to fair on your own” and “you didn’t care for me” hint at the kind of painful, slowly dissolving into nothing relationships that Sharon Van Etten turned into one of the albums of the year on Are We There. It’s a theme he re-visits throughout the album; on It Never Was The Same, “you said our love will never die, it never was the same in this old town”, on the title track, “I wont keep you here” and “if you stay tomorrow, you wont leave tomorrow“, on Pills I Swallow, “always end up in a fight”, on the closing track, Sometimes I Wished I Could Fall Asleep, “you don’t want me anymore, throw me on the fire.” If previously they seemed distant and a touch cold, this new found lyrical honesty manages to actually make it seem more harrowing, there’s a sense that for all the brutal tales, the real sadness is here in the universal emotion of a loveless relationship, slowly meandering to biterness and hatred. It’s heavy stuff, but this is The Twilight Sad after all. If it’s a lyrical progression, musically it’s more a subtle re-invention of their sound rather than a complete re-working. Last January is a long way from a 3-minute pop song, but it’s probably the most chart friendly and accessible as they’ve ever sounded, indeed it wouldn’t sound out of place on an Editors record. Synthesisers used here to add, texture and lightness rather than the industrial flavours of their previous record. The outro is stunning, layer upon layer of distorted and warped guitar sounds, over a crisp drum beat, it marks them out as the true heir’s to Joy Division’s gloomy crown. I Could Give You What You Don’t Want is propelled along on a rumbling bass line, and carried by a delightfully complex vocal melody, as James spits out the line “the silly little girls gone shy” it’s a reminder both of his impressive vocal chops and his flair with a melody. It Never Was The Same, is an excellent example of their more refined sound; as the wall of guitar comes out of the chorus, where once it would have been right at the forefront, it’s oddly distant, giving the song room to breathe, and allowing the melodies which would once have been buried deep beneath to punctuate through, whilst still maintaining all the intensity of old. With it’s filthy guitar line, In Nowheres, offers a wry nod to fellow Glaswegians, and provider of the Castle Of Doom studio in which the album was recorded, Mogwai. The title track is wonderfully produced, it possesses a tremendous sense of distance, the whole song sounding as if you were listening to them play through a wall, it’s wonderfully done, with full credit to both producer Andy Macfarlane and the albums mixer Peter Katis, both of their work here is simply stunning. They leave their biggest departures to last, the penultimate track, Leave The House, starts off with an oddly Beach House-like array of droned organs, and gently ticking drums. James’ voice floats, ethereally above it, almost nursery rhyme like (though god help the child who’s put to sleep to The Twilight Sad), the whole thing is delightfully atmospheric, “What do you care for? There’s no-one in the right” he sings as a rhodes-like piano gently meanders below him, gradually overtaking the organs and drums, before the track explodes into life via a stunning release of guitar based fury, and a swell of organs. It’s got all the drama and power of Depeche Mode, and beneath it all gently winding it’s way is the same music-box like piano line. Kanye West can keep his beautiful, dark, twisted fantasy, I’ll take The Twilight Sad’s version any day. Sometimes by sticking with what you do best, you find the appreciation you deserve. Here The Twilight Sad have never sounded so comfortable in their own skin and with that have made a record that’s an absolute triumph, entirely on their own terms. The Twilight Sad announced a series of dates in England for April next year. Tickets go on sale on Wednesday November 5th at 9am.